Overweight and obesity has more than doubled in the UK in the last 25 years. Currently, 66% of men and 57% of women are overweight or obese in the UK. Considering the health consequences of excess weight, there is a need to identify effective weight loss strategies to reverse this upward trend. According to the Health Survey for England (2016), 47% of all adults surveyed reported they were trying to lose weight, with the most popular weight loss strategy being going to the gym or doing exercise (29%). The development of obesity can be considered in terms of energy balance. Energy balance refers to the flow of energy into (food consumption) and out of (energy metabolism) the body. In simple terms, weight gain results from an imbalance between energy intake and energy expenditure. For example, if energy intake exceeds energy expenditure, body mass will increase (positive energy balance), and if energy expenditure exceeds energy intake, body mass will decrease (negative energy balance). Therefore, increasing the amount of energy we use through exercise is a plausible weight loss strategy. 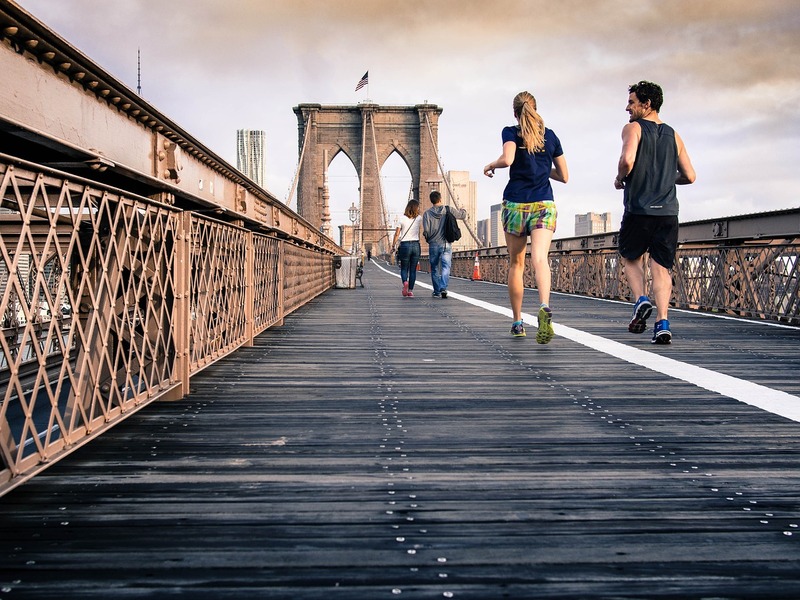 Although it would seem logical and plausible that an increase in energy expenditure through exercise leads to weight loss, the topic is highly debated. Despite Cochrane systematic reviews reporting beneficial effects of exercise on weight loss independent of diet, as well as our own observational study that shows habitual physical activity is associated with lower body mass and fat mass (Myers et al., 2016), the view persists that being active does not contribute to weight control. This view can be attributed, at least in part, to the way in which the popular press reports exercise and weight-related research with headlines such as “Why exercise won’t make you thin,” “Health warning: exercise makes you fat,” and “Why exercise for weight loss just won’t work.” These eye-catching titles convey a confusing public health message and encourage people to stick to the status quo of being physically inactive. The view that exercise does not contribute to weight management is not limited to the mainstream media. In an editorial in the British Journal of Sports Medicine, an article title referred to “the myth of physical inactivity and obesity,” and the text categorically stated that “physical activity does not promote weight loss” (Malhotra et al., 2015). Moreover, the observation that exercise often results in less weight loss than anticipated is entirely to be expected based on a degree of compensation. There is a belief that becoming more active will lead to an automatic and complete compensatory response to offset weight loss. Compensation could arise through an increase in food intake or compensation that results in a reduction in energy expenditure such as a decrease in non-exercise physical activity (energy expended for everything we do that is not sleeping, eating or structured exercise). Although weight loss may be attenuated, it is not completely canceled out. Our study (Myers et al., 2019) investigated this issue. Would an increase in structured exercise lead to a compensatory increase in energy intake or decrease in non-exercise physical activity to offset the exercise-induced energy deficit and therefore compromise weight loss? Twenty-four women with overweight or obesity completed a 12-week supervised and monitored aerobic exercise intervention that consisted of five sessions per week. Prior to commencing the program and after completion, twenty-four-hour energy intake was objectively measured during intensive probe days in the laboratory, subjective appetite sensations were measured before and after meals and repeated between meals, and energy expenditure was measured using state-of-the-art indirect calorimetry, heart rate monitoring, and accelerometry. Results from the study showed there was an increase in energy intake throughout the day. This increase in energy intake did not fully compensate for the energy expended through exercise as participants in the study continued to lose weight. Importantly, this weight loss was entirely body fat and not lean tissue. However, as participants lost less weight than was predicted, partial compensation in energy intake was apparent. Interestingly, there was no evidence for any compensatory reduction in non-exercise physical activity. This means that people did not become more sedentary in daily life just because they were doing more structured exercise. It is worth noting that the effects of exercise go beyond just weight management. Increased exercise leads to improvements in numerous health outcomes (i.e. reduced blood pressure and increased aerobic fitness) even in the absence of weight loss. From a public health perspective, even if weight loss is less than expected, meaningful health benefits can still be gained. Based on our research (and others), exercise DOES lead to weight loss. However, the observed weight loss is less than would be expected due to partial compensation in energy intake. This is to be expected and indicates that exercise is actually enhancing appetite control so that the physiological system functions better; active people are better at matching food intake to their energy requirements. Dietary intervention, as an adjunct to exercise, may offset the compensatory increase in energy intake and result in greater weight loss. Indeed, studies have demonstrated that combined diet and exercise interventions lead to greater weight loss than either exercise or diet alone. These findings are described in the article entitled Structured, aerobic exercise reduces fat mass and is partially compensated through energy intake but not energy expenditure in women, recently published in the journal Physiology & Behavior. MALHOTRA, A., NOAKES, T. & PHINNEY, S. 2015. It is time to bust the myth of physical inactivity and obesity: you cannot outrun a bad diet. British journal of sports medicine, bjsports-2015-094911. MYERS, A., DALTON, M., GIBBONS, C., FINLAYSON, G. & BLUNDELL, J. 2019. Structured, aerobic exercise reduces fat mass and is partially compensated through energy intake but not energy expenditure in women. Physiology & behavior, 199, 56-65. MYERS, A., GIBBONS, C., FINLAYSON, G. & BLUNDELL, J. 2016. Associations among sedentary and active behaviours, body fat and appetite dysregulation: investigating the myth of physical inactivity and obesity. British Journal of Sports Medicine, bjsports-2015-095640. Dr. Anna Myers is a Research Scientist at Sheffield Hallam University in the Centre for Sport and Exercise Science. Anna’s broad area of expertise is the health effects of physical activity with a particular focus on understanding the interaction between physical activity, sedentary behavior, body composition and appetite control. Anna has published several peer reviewed articles in a number of scientific journals and has presented her work at a number of national and international conferences.